You can usually buy basic colored gift bags cheaply at any big box store. I think they work fine as a starting off point to make a statement that has the recipient liking the wrapping as much as the bag! Heat up your fuse tool. 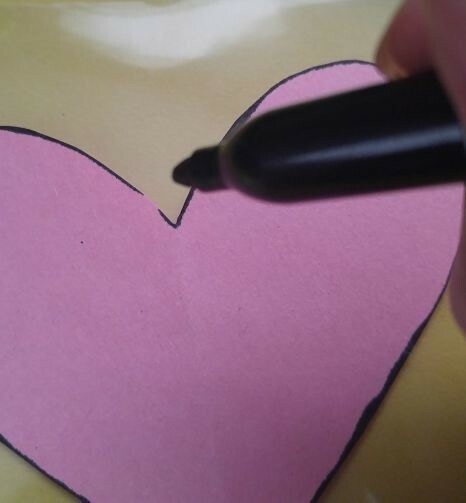 Trace your template onto the plastic sleeve with a marker. 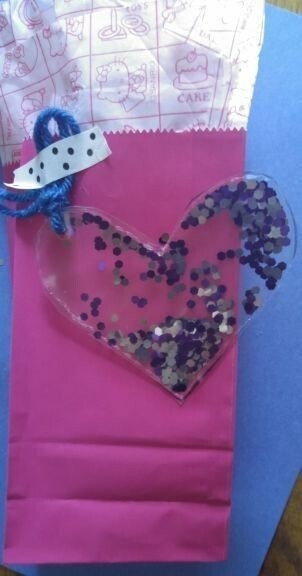 I chose a heart shape here - I love hearts! Once heat tool is warm use tip to trace inside your shape. 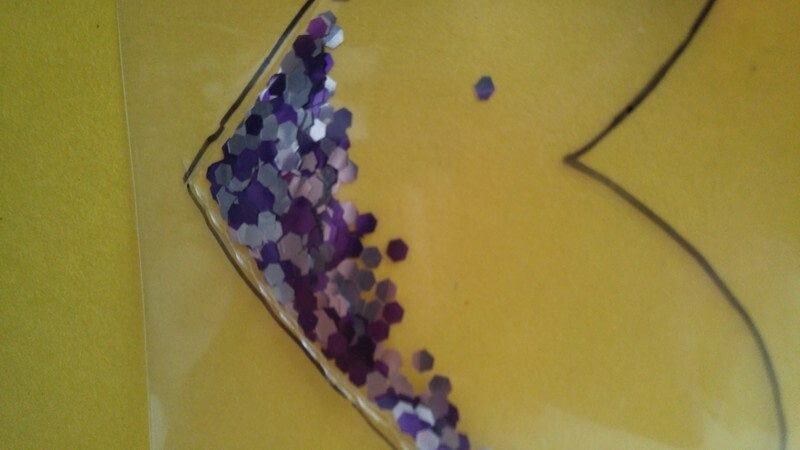 Leave a small gap to use to fill with glitter. Do not press to hard or your plastic will rip. Fill with glitter. I say about 1/3 full so you can shake it up like a snow globe! Once filled seal hole with fuse tool. Use scissors to cut your shape out eliminating any marker bits. 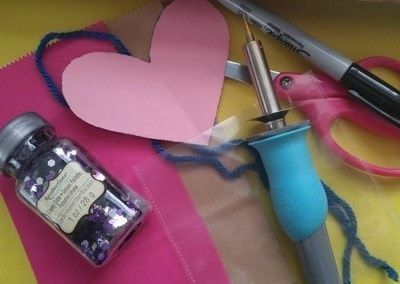 I like using scissors instead of the cutting attachment because it allows you to cut curves easier. Poke hole into top corner of your tag with the heat tool. A small fast hole will do. Not to big so glitter will not fill out. Use chunky glitter like I did - it will not get everywhere! Thread yarn or ribbon through the hole and attach to your gift bag!